Author and geologist Scott Wolter's tome, The Kensington Rune Stone: Compelling New Evidence, will deal with his research into those strange rune stones that crop up now and again. As I have written about in Strange State: Mysteries and Legends of Oklahoma, the Sooner State has not only one but several runestones. I don't know yet whether Wolter's work will cover these as well, but I am curious to see his interpretation of the available data. One theory he has is that these Norse runes could have been left by Knights Templar, fleeing persecution in the old world by braving a new one - long before such a thing was known to exist. If you want to read more, you can check out his book or pick up a copy of (shameless plug) mine, in which I cover those discovered in Oklahoma. ALIENS AND GHOSTS - OH MY! TERROR OF TULSA! WELL, MAYBE NOT? Wondering down the produce aisle, the unknowing shopper pulls a bundle of bananas from the display and a multi-legged creature begins to inch its way to the shopper. The beginning to a particularly bad sci-fi movie? No, it was the situation recently in Tulsa, Oklahoma. From bad to worse the story soon escalated. Not only arachnid invasion of food storage sanctity - but the creature was identified as one of the world's most deadly creatures! It is hard to determine which is the most frightening. A spider crawling over fruit in the market or the thought the creature might be deadly. Not many would want to trade places with the shoppers in Tulsa, but was it not so deadly after all? "The spider found in a shipment of bananas at Whole Foods was taken Sunday to the University of Tulsa, where animal facilities manager Terry Childs identified it as a Brazilian wandering spider, considered one of the most lethal in the world." Soon another expert, however, was disputing that and Tulsa Zoo curator of aquariums and herpetology, Barry Downer's examination of photos and video led him to say it was more likely a harmless Huntsman spider, "There's pretty definitive evidence it has been misidentified," Downer said. Authorities are also looking into claims an administer of the university ordered the creature destroyed because of concerns related to the more deadly identification. This, however, has some baffled. Specimens - even of deadly creatures - are usually preserved for study, Downer noted. Authorities also question the labeling of the danger of the Brazilian spider and cite it is dangerous but not as deadly as described. Without the specimen to provide clear evidence, however, it is still all conjecture for many. An earlier incident occured in Stillwater in 2003 and who knows what the future may bring? Battleground Ghost or Frightening New Technology? This one is really weird. This video begins with a roadside bomb at 00:40. Thereafter, the tank seems to grind to a halt and three soldiers dash offscreen to the right. Then another tank arrives, followed by several support vehicles. Beginning at 2:58, we see a figure race back from the right of the screen. Now, you may need to review this several times and compare this sole figure to all the others that pass by this same section of the screen. It's weird; this figure seems to appear from nowhere and slowly resolve before our eyes. Granted, the figure was running pretty fast, so what we are seeing may simply be an artifact of the video camera. But others on the Internet (who have confirmed him as an insurgent) are positing theories ranging from ghosts to some new "cloaking" technology. While I'm no expert on such matters, my concerns are, first, that the figures represent two opposing forces (I can't be certain of this) and, second, that the soldier who moves around to the front of the tank seems aware of the strange figure as he climbs on top and eventually disappears within. Either way, there is something very strange in this video. Does this footage show some strange new technology, proof of battleground spirits, or is it simply an artefact of frame speed? Further analysis of the original video would be required, but I can't see anyone getting their hands on it anytime soon. "They're all alike; they're all just rich vampires who own nightclubs and sleep on designer sheets,"
Urban Fantasy author Stacia Kane bemoans the homogenization of the genre and hopes readers do a little digging for themselves (Amazon's recommendations are worthless) to find those really great reads that are still out there. Although she writes in a genre I've seldom pursued, I can't help but sympathize with her concerns. I've never been much for these modern vampire novels. They're always too hip, too clever; it feels forced and very much rehashed. And don't get me started on the whole hot and brooding - but, like, TOTALLY misunderstood - vampire and the human girl who reluctantly succumbs to the thrall of a demon genre. There aren't enough trash cans to contain my vomit. I also don't care for genre-for-the-sake-of-genre novels. Stories, in my humble opinion, should have strong characterization and universal themes. A good story can be translated into a western or sci-fi epic and still retain its integrity. So, if you too have feared an attack of the hipster vampires, Stacia makes some recommendations for shaking things up. Many strange stories recount the simplicity and innocence of an earlier day. Some underscore the things accomplished since and some seem to remind of the things lost in the swelling tidal wave called progress. South Central Oklahoma was a hive of change as the oil industry boomed and Healdton would become known as the birthplace of noted television personality, Rue McClanahan. There was a female of note there much earlier, however. Meet Miss Annie Browne Dollar, ten-year-old daughter of a carpenter in Healdton, Oklahoma. For twelve days in 1918, she had suffered from some malady that had her in a rigid state, talking only in a whisper. Then one day she was perfectly fine and restored to normal physical activity. There was, however, a new light in her eyes as she shared she had “talked with Jesus” and the “Angles.” Soon she requested a Bible and was preaching on the streets, going were the “Spirit” directed. Reading aloud from the scriptures, far above her known reading ability, she would bolding preach the Word of God, and then lapse into the mystery of “unknown tongues”. She seemed very concerned for the soldiers on the battlefield of WWI and felt certain the war would be the last followed quickly by the end of the world. The era was also one that saw a plague sweep across the globe and thousands became ill with Influenza. Searching for more on this amazing story it was learned that Annie Dollar, in 1920 along with a Willie and Vernon Dollar, was an inmate of the Oklahoma Methodist Orphanage in Oklahoma City. It can be assumed that she, like so many other children in this period, lost her father to this illness. Read his article explaining just why Texas could (and, indeed, he believes does) support a population of these hiruste hominids. On the same site, you can find more information regarding the role annual rainfall amounts play in the presence of Bigfoot and why the skeletal remains of these creatures aren't found. Perhaps the largest stingray ever recorded. Weighing upwards of 600 pounds, the mammoth freshwater specimen was caught in central Thailand on January 28, 2009. The animal is over 6 feet in rough circumference, and with the tail (missing) it would have been close to 16 feet long.The giant species is relatively new on the radar of scientists like University of Nevada biologist Zeb Hogan who has been hunting such things for the Megafishes Project, which documents the 20-plus species of giant fresh water fish. These giant stingrays have been known only since 1989. 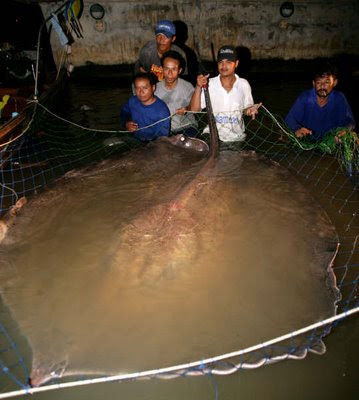 And this isn't Thailand's only megafish. The world's largest catfish, the Mekong, weighed in at 646 pounds. So don't skoff too loudly at those one-that-got-away stories from fisherman. You never know what is lurking in those murky depths. In the Fall of 1970, not far off from the events of the El Reno Chicken Man, an Oklahoma man has a bigfoot encounter along the North Canadian river near the same city. The Texas Bigfoot Research Conservancy got the story and investigated what they could after nearly forty years. Recently, someone forwarded to me (Lord knows why) an e-mail concerning some famed author/pastor's recent proclamation of pending doom that will face the eastern seaboard, specifically the New York/New Jersey area. Of course, it is never anywhere like Dallas, TX or Knoxville, TN. What hubris it must take to deem one's self prophetic; and I don't talk about your everyday psychic. I speak instead of those who feel that God speaks to them, only them, and in a very specific manner: giving them foresight beyond intelligence and bestowing upon them the mantle of Prophet (with a captial P). They then dole out this information, not as a tidbit to use at your discretion, but as an instrument of fear to quirt the apathy of the masses and send them stampeding toward righteousness. Why, I wonder, does God not speak to these men and women in more positive terms. Where are the messages of hope? With all the doom and gloom, the relishing of tragedy, one would be forced to relegate God to the status of evening news anchor. "15 puppies died today in a tragic accident on the interstate..."
Birds in Flint Hills of Kansas, Oklahoma face population decline despite large habitat. OKParaCon- The Oklahoma Paranormal Conference is almost here!!!! March 21st is right around the corner! (click here to read OK ParaCon Blog entry) . We encourage everyone to book in advance because we do not want to turn anyone away. Secure your spot at this ALL day event!!!! If you need lodging information, see blog posting below!!! Make sure you mention OK-ParaCon to get the discount rate. OK ParaCon is for the entire state of Oklahoma. It is hosted by the El Reno Convention and Visitors Bureau, Main Street, Preserve El Reno, the City of El Reno, GHOULI & Eerie Oklahoma. OK ParaCon is not about one particular team!! Although we host the event it does not mean that you are going to have to sit and listen to "sales pitch" type of speakers. In fact, we are not even speaking!!! OK ParaCon is designed and coordinated to entertain EVERYONE. No matter what you believe, you will have a great time at OK ParaCon! The Oklahoma Paranormal Conference is organized so that people will love to learn about history, preservation and education. We work hard to offer a diverse line up for anyone that enjoys a good ghost story, watches Paranormal based TV shows, psychology, history, travel and adventure. It's not just about "gizmo's and gadgets" one teams adventures. It's for everyone!!! Registration starts at 1:00pm at the historic and Haunted Elk's Lodge in El Reno, OK. The event starts at 2:00pm and will run into the night. We will have dinner breaks with a couple of options. 1) Take a trolley to one of El Reno's favorite diners! 2) Stick around and have catered dinner at the Elk's lodge with guests and speakers. 3) Venture out and find a place to your liking! ALL dinners and lunches will be very affordable!!! Just pick one! Return to the Elk's lodge to finish up the Conference and enjoy our headline speakers. After the conference you can 1) stay and mingle with guests and speakers.. Cash bar will be on hand! or 2) take one of the fantastic tours that will be hosted and offered by the citizens of El Reno! All for less than a movie ticket! Take a historical walk or trolley ride and venture inside El Reno historical buildings that have literally been 'untouched" since the day they shut down. Step back in time as you enter Brothels, Hotels, boarding houses and much more. Learn about the history, the haunts and the speak easy days of prohibition! We are working on securing a Lost Rt.66 adventure as we speak, so keep checking back for details. El Reno is a stopping point of Americas Mother Road. You can still get your kicks on RT.66 as you discover the forgotten landmarks and structures of yesterday. If you are able to drive to the Conference, we recommend that you drive the old RT.66 and make your OK ParaCon adventure even more memorable! GHOSTLAHOMA Book Release- Already we have had countless requests for the Ghostlahoma Book! The official Release party will be held at OK ParaCon. Join us as we celebrate the launch of GHOSTLAHOMA! WHY EL RENO? OK ParaCon takes pride with working to preserve Historical Buildings. No matter where the town is, there is always need for funds to help protect and preserve buildings. ALL TOUR & DINNER proceeds go DIRECTLY towards Preservation in El Reno. If you purchase your tickets at the Convention & Visitors Bureau office, we will donate a portion of ticket sales towards Preserving El Reno's most endangered buildings. Click here to read about the most recent endangered buildings! We encourage EVERYONE to come to the conference and take part in the activities after the event. A great deal of these buildings that you will tour are on the list! CLICK HERE TO READ ARTICLE ABOUT OK PARACON! NOTE: OK ParaCon is for EVERYONE. Recommended age for this event is PRE-TEEN and up. As much as we love the kiddo's it's hard for the little ones to stay focused. If you child has a strong interest, they will enjoy the conference as much as the adults. There will be a cash bar on hand & smoking is allowed outside of the building. Parent discretion should be applied. But OK ParaCon is a family friendly event! As charter boat captain Erike Rue plied the waters of Louisiana's Lake Calcasieu, he was startled to see among a pod of dolphins something bright pink. 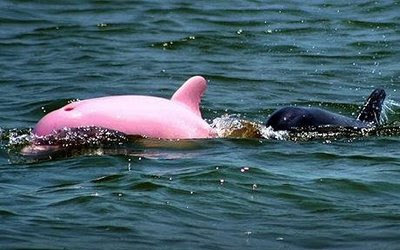 One of the dolphins was "stunningly pink," in Rue's words. "I had never seen anything like it." Since that first encounter, Rue has spotted the animal nearly 50 more times, and he has managed to photograph it. Along the Amazon, there live freshwater dolphins known as botos, which are colored with patches of pinkish skin. However, this dolphin is in fact an albino: it has pink eyes and a uniform coloration. Other than spending a little bit more time under the surface than others in its pod, the pink dolphin doesn't behave any differently. According to biologist Regina Asmutis-Silvia at the Whale and Dolphin Conservation Society, a pink dolphin is something unheard of. She urges the curious to watch from a respectful distance and not to harass the animal. Just kidding. 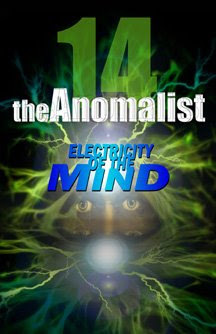 Above, you will see my two submissions to a contest held by The Anomalist (a journal devoted to all sorts of anomalies) to design the cover for their forthcoming issue, No. 14. To see the others, click here. 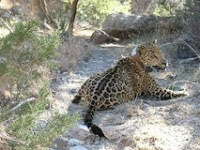 Last year, an episode of MonsterQuest (the History Channel's popular program about mythical and mysterious creatures) brought to light information supporting the conclusion that jaguars had once again returned to southern Arizona, where they were once plentiful. Then, several weeks ago, on February 18, 2009, one of those rare cats was captured. The intent was to collar the animal to track its movements better. However, after the animal fell ill, state game officers decided to put the animal down. Macho B, as the sole male found thus far was named, had been first caught on trail cameras as far back as 1996 as a juvenile. By the time he was picked up and moved to a zoo for treatment, he was roughly 15 years old. His advanced age combined with kidney problems led to the collapse. Cats like Macho B once roamed from South America all the way north to the southern reaches of the United States. However, by the turn of the 20th century, Manifest Destiny had managed to eradicate most all of the jaguars north of Mexico. Protected since 1973 (despite the lack of specimens), Macho B's presence augers well for the general health of the species. It could indicate that jaguar numbers are returning to a healthier state. Let us hope that we humans learn from our past mistakes and try to better coexist with these beautiful cats. After recently reading Douglas Preston's book, The Monster of Florence (wherein Preston chronicles the eponymous serial killer's rampage throughout Tuscany, before the author himself becomes indicted in the case), I came out of it with a sense of shock and a waning desire to spend much time in Italy. What struck me hardest were the patently absurd laws, convoluted judiciary system, and the near-comical ineptitude of the police force. Throughout the book, the latter's antics are referred to on several occasions as "Kafkaesque" and compared to the absurd characters in the films of Fellini. It is the kind of thing that makes you say, "Thank God, it's not that way here". Or so you would think. Not long ago, Carol Medenhall of Dibble, OK, was given two tickets by her small town constabulary. What heinous crime, you ask? She was cited for two separate, but equally nefarious transgressions: her goats were spotted mating in her yard, and they were spotted urinating there as well. Both bodily evacuation by and mating among animals within the city limits is prohibited by law. 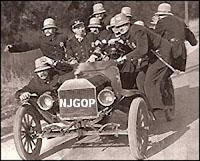 The law makes no exception for the fact that the goats were fenced in on private property, and so the Keystone cops marched in. If you are at all familiar with the character Elbow from Shakespeare's "Measure for Measure..." I can't help but laugh. One can only assume this is some lingering bit of Victorian moral code that has yet to be eradicated from the books. Fine, but to then ticket the woman for it? It's absolutely absurd and the sort of thing that keeps Oklahoma mired firmly in this Union's backwater. Even if Ms. Medenhall was an acrimonious nuissance to the community, and this small legal measure was the only way to enact the slightest bit of retribution, I would still have to say this law is completely idiotic. And to use it as a feeble weapon only underscores the absurdity. As a final note, as sad as this woman's tragedy is, I don't wish to compare this level of judicial foolishness to the hell that faced author Douglas Preston. He had to contend with not only antiquated legal practices and insane law enforcement officials, but also serious criminal charges and eventual expulsion from Italy. *This is a play on the title of Federico Fellini’s absurdist film “Giulietta degli Spiriti,” or “Juliet of the Spirits.” In this case, I have changed it to “Juliet of the Possessed (or Crazy)”. There are some very focused and very bizarre museums out there, devoted to the strangest of collections. There is a museum devoted entirely to collectible lunch boxes in Columbus, Georgia. One can gaze at over 20,000 salt and pepper shakers at the eponymous museum in Gatlinburg, Tennessee. And, of course, Loren Coleman's menagerie of crypto critters in Portland, Maine. But if you're like most guys (and the little boys inside us still), you (and some women, too) will be happy to know that there is a museum dedicated to slaking your lust for action. 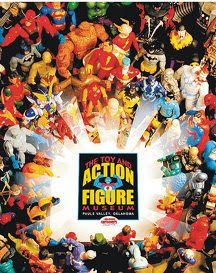 Yep, sitting along I-35 in Pauls Valley, Oklahoma like an oft-beloved roadside oddity of our childhood, is the Toy and Action Figure Museum. The collection boasts some 10,000 items and is a giant plastic tribute to the impactful realm of toys, comics, and figurines (and we're not talking Lladró here). The museum is the inner-brainchild of collector and artist Kevin Stark who, in 2000, persuaded the local city council that the town needed an attraction. After five years and a lot of effort, the museum opened its doors to an eager crowd. Thus far, the collection is going strong. I, for one, love these things. And while I didn't stop to see what the "Thing" was on I-10 just past the Arizona border, I have been to places like the UFO Museum in Roswell. I have to say, these quirky little collections are an integral (and some would say essential) part of Americana. 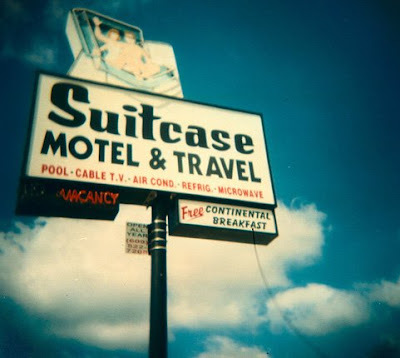 Roadside attractions, funky diners, and curious collections are among the quintessential elements that define the road trip and, ultimately, the American experience. 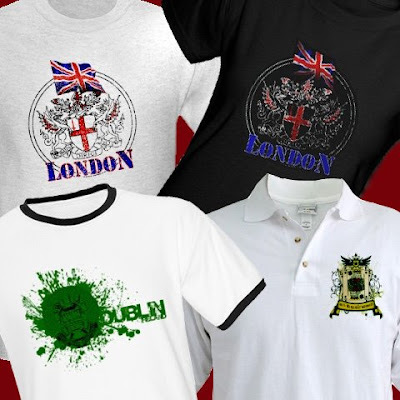 Click here for the latest designs from Fresh Eire Designs, available for purchase through cafepress.com. Brother, Can You Spare An EMF Meter? I have to wonder: with the economic crisis the country currently faces, and the certainty that cuts will begin with pastimes and hobbies, will those in the paranormal community be hit hard and soon? Maybe some have already felt the sting. 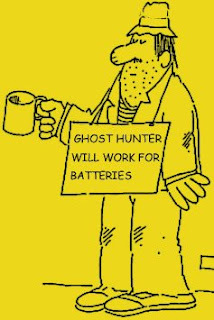 Let's face it, no one needs to study ghosts and all those gadgets and gas cost money - to say nothing about all those batteries that keep draining. And while at one time you might have considered plopping down a brick of cash for one of these outrageously expensive Bigfoot "expeditions," you may be finding yourself now debating even the importance of cell phones and cable TV. Dyed-in-wool investigators and enthusiasts will trudge on, as they always have, but the only somewhat interested will most likely scale back. This spells bad news for those in these communities who rely on the sales of merchandise, videos, and books to fund their research. Surely, this group comprises the bulk of paranormal consumers. 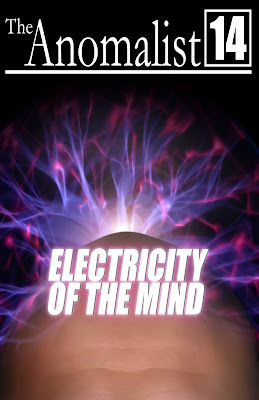 In the next couple of years, I imagine we will lose untold numbers of people interested in pursuing paranormal puzzles. The hobby will get too expensive, and perhaps they had to take a second job to pay for Billy's braces. For whatever reasons, their interest will wane and we will see many groups and businesses fold like origami to litter the deserted streets of Paranormal City. In some ways this will be a good thing. For years now, many of us have secretly (and not so secretly) wished we could thin the ranks. However, like the cruel irony of the Monkey's Paw, we may find our wishes granted in the worst possible ways. So, when you wonder why your EMFantastic Meter 5000 is not selling, console yourself by knowing you are not alone. After all, on the financial food chain, we can be certain of one thing: that Field Guide to North American UFO's is surely food for the cable bill.